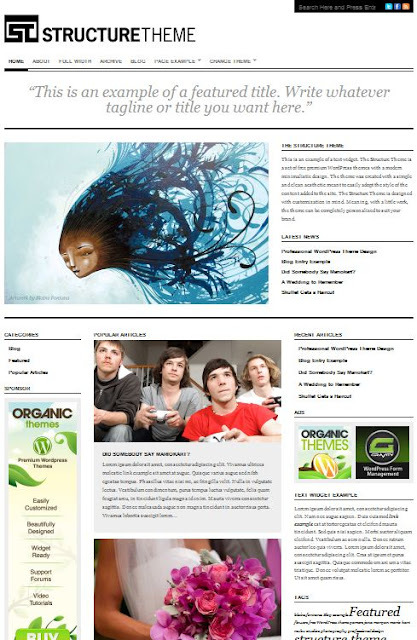 Structure theme is a set of premium WordPress themes with a modern minimalist design offered by Organic Themes. We offer a Premium version and a Free version of the Structure Theme. The Premium version has many enhanced features not included in the Free version.